During our last visit to Salt Mills in West Yorkshire, which I must add is a great place to visit with the family, I spent some time in their amazing bookstore. Really this place is incredible. I could spend a day just in there roaming through their amazing collection of books! So on this particular visit I came home with a rather heavy bag filled with super exciting books for the girls. One book which we have had such fun with is this modern version of Goldilocks and the Three Bears. Florence is really into her fairy tales and having read her traditional book of fairy tales from back to front and back again, I was really happy to find this fun adaptation. 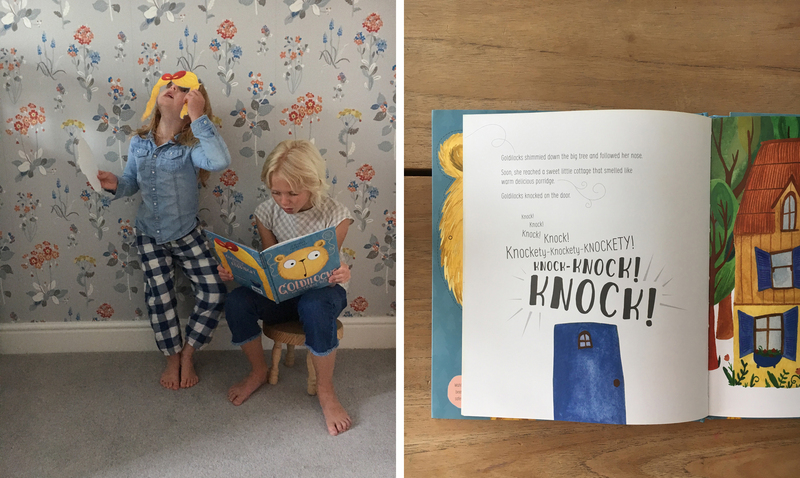 Ellie Jenkins has taken the original story and added really exciting fonts, fabulous vocabulary and super bright illustrations making this edition just really great. I mean really, with phrases like “Goldilocks shimmied down the big tree” I was just hooked with this book, let alone the girls! But not only is this book a great read, it also turns into a great role play activity too. It comes with two masks to cut out; one of a bear and the other of Goldilocks’s golden hair with a bright red bow so whenever you mention the names the mask must go on! 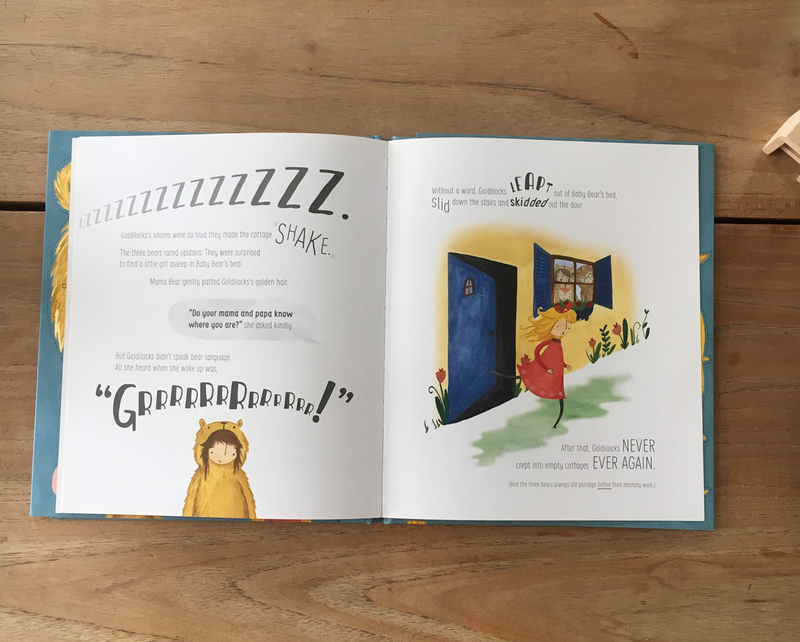 The girls spent an afternoon last week acting out this story over and over again and I was in fits of laughter watching them parade around the house shouting phrases from the book! Really this book is such fun for the holidays. 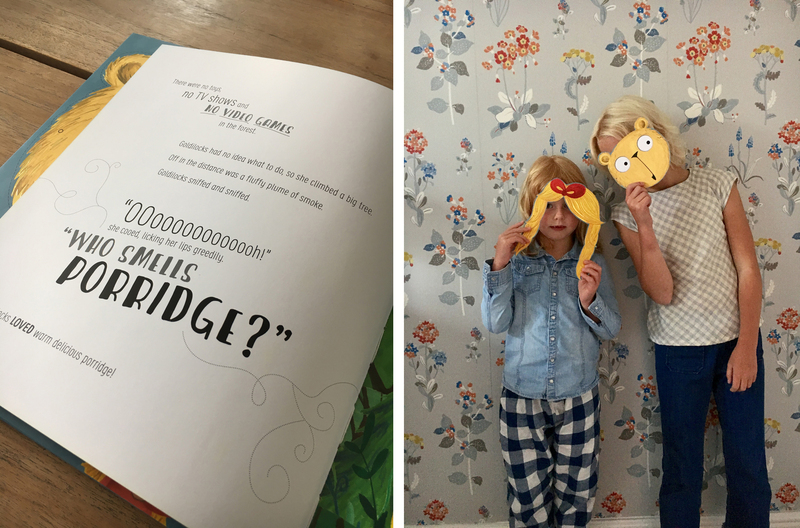 It’s one for the whole family to get involved in and great for play dates too! 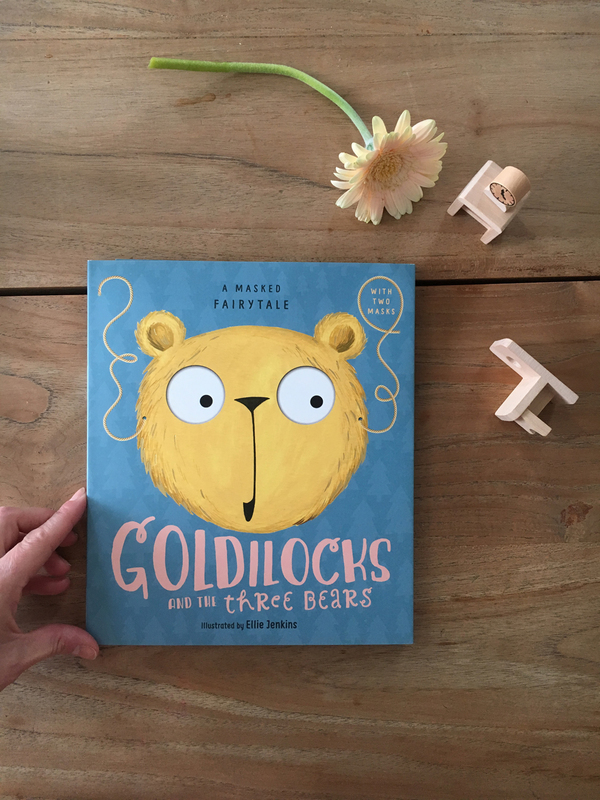 Goldilocks and the Three Bears is available online from amazon (UK) and (US). Or if you plan a visit to Salt Mills then pop into their bookstore and pick up a copy from there.